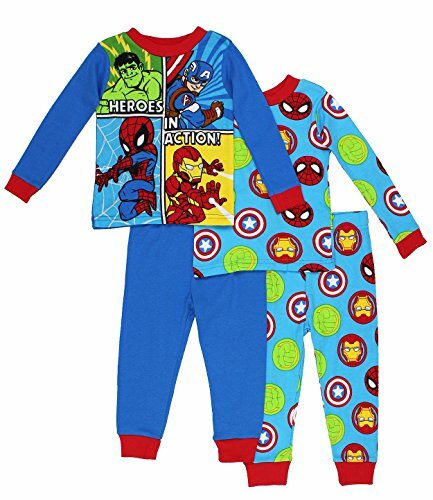 Get ready for adventure in this Avengers boys cotton pajamas set! This set includes two pairs of pajamas that can be mixed and matched for more variety! 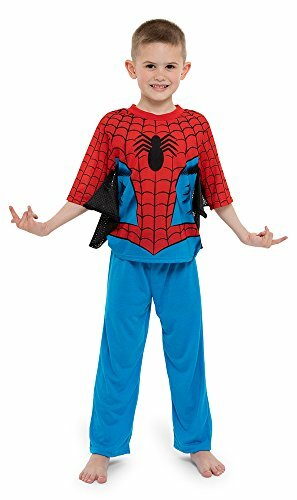 These pajamas feature double stitched hems, long sleeves, and colorful graphics of your favorite Marvel Comics Avengers superheroes: Captain America, Iron Man, Spider-Man, and the Incredible Hulk! It's the perfect sleepwear choice for any Marvel Avengers or superhero fan! This garment is not flame resistant. For your child's safety, this garment should fit snugly. 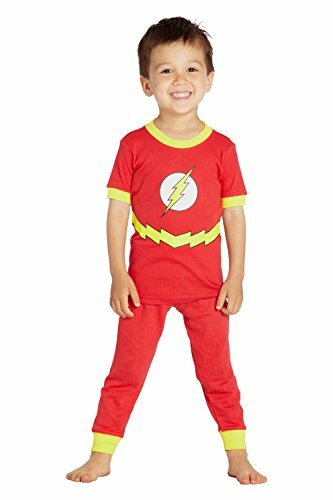 Get ready to save the day with these adorable toddler boys Super Hero Adventures fleece pajamas! 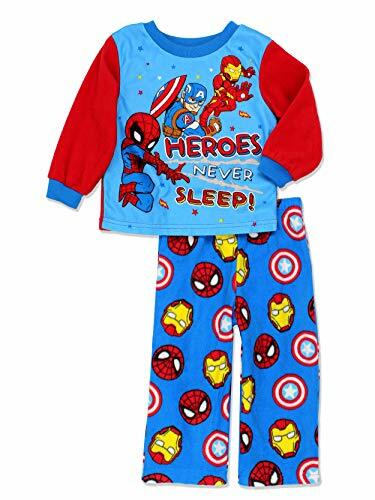 This 2-piece pajama set features awesome graphics of your favorite Marvel Superheroes: Spider-Man, Captain America, and Iron Man! This garment is made of flame resistant fabric for safety. 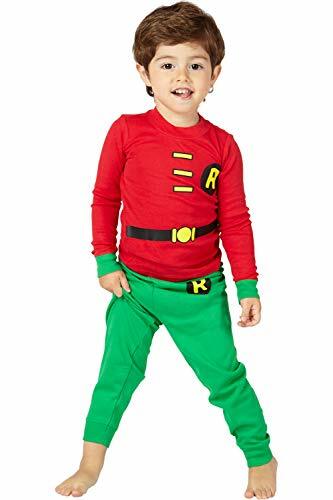 This pajama set is made with 100% soft polyester fleece fabric. 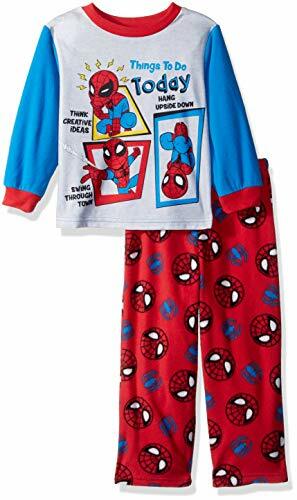 These pjs are the perfect choice for any fan of Marvel's Super Hero Adventures or the Avengers! Available in toddler boy's sizes 2T, 3T, and 4T. About: We take great pride in our Spider-Man pajamas. Our products are made to the highest standards and your little one will drift off to sleep happy and easy in these pjs. Sizing: Our products are designed in accordance with flame and safety laws and are snug fitting. Please order size accordingly; refer to our size chart if need be. 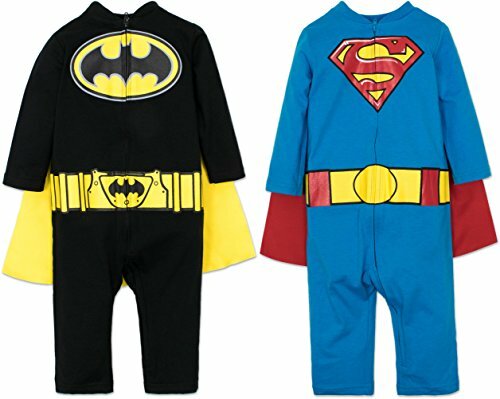 Outfit your caped hero in Batman or Superman with these adorable hero costume 2 pack coveralls. He can soar as Superman in blue and red or save the day in bold black and yellow as Gotham's Caped Crusader Batman. About: We take great pride in our Avengers pajamas. Our products are made to the highest standards and your little one will drift off to sleep happy and easy in these pjs. Sizing: Our products are designed in accordance with flame and safety laws and are snug fitting. Please order size accordingly; refer to our size chart if need be.